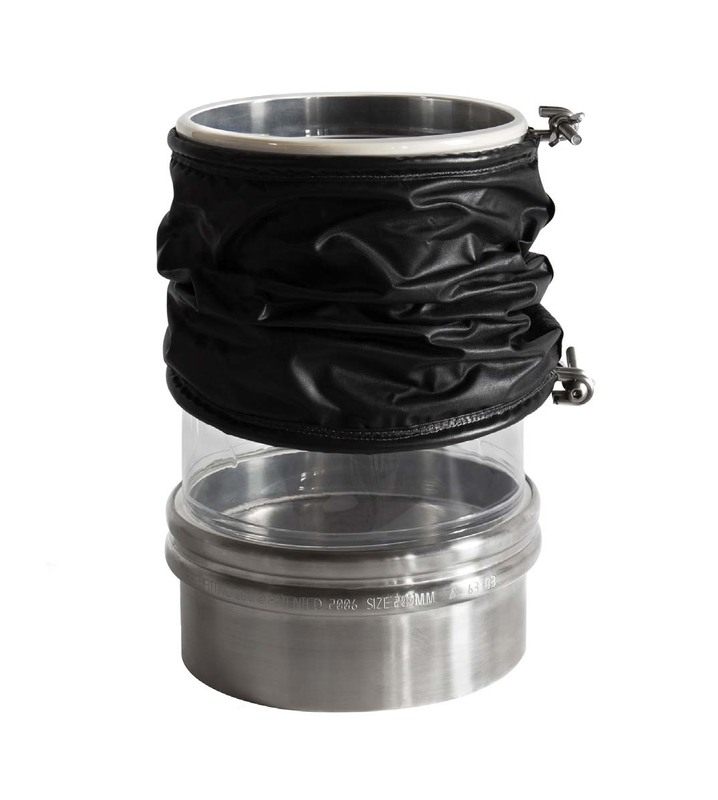 The Black Out Cover is used in light-sensitive applications to cut out light. Made from a polypropylene fiber that meets FDA requirements for textiles used in the processing of foods. Is there an option available for light sensitive applications? 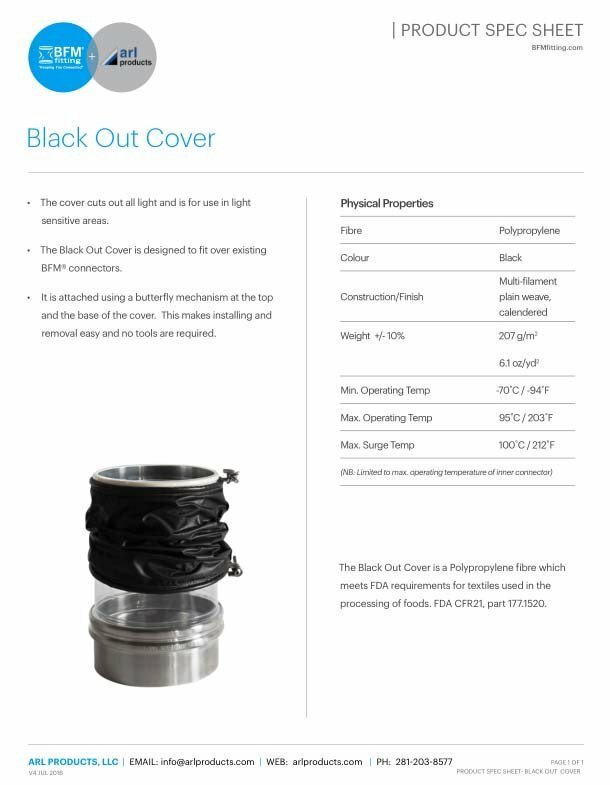 Yes – our ‘Blackout Cover’ is perfect to fit on the outside of a BFM® connector and will cut out 100% of the light.